The balance of power for senior footy swung back out east in 2018 with both the Men’s and Women’s National Championships finals being contested between Ontario and Quebec, with Ontario winning both. At the junior level however, the west continues to stream ahead with North Delta Junior AFL (NDJAFL) celebrating its 16th year, AFL Alberta reaching more than 16,000 kids through school visits, the Calgary Kangaroos hiring the first non-AFL funded full-time junior footy coach and the University National Championships won by the University of Calgary. Overall participation across the country enjoyed a year of growth, led by the AFL Alberta School Program, AFL Quebec Leagues and new junior programs in Goose Bay, Labrador. 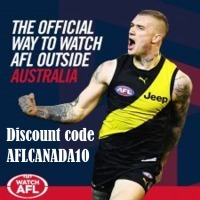 Total AFL Canada-led league/competition/program participation reached 21,225 in 2018, up more than 100% on 2017 figures of 10,448. Our national teams took a break in 2018 but the National Championships returned, hosted by AFL Ontario and more provinces represented with Nova Scotia and Manitoba combining to enter a men’s team. We welcomed Darren Denneman (AFL NSW Head of Talent and Coaching) in April as he led eight Level One Coaching courses across our five major cities. Following these sessions, we now have 80 accredited coaches across Canada. We had another two Canadian-based umpires become approved by the AFL as Umpire coaches, giving us six Umpire coaches able to approve level one accreditation, and look forward to further supporting and helping grow our umpires in 2019. We hired Penny Bartel as full-time staff in May 2018. Penny is an experienced sports administrator with 20+ years of progressively experienced roles within the Canadian PSO space. Since joining, Penny has assisted at the National Championships and helped write our Long-Term Athlete Development (LTAD) Framework, a key step in our goal of being recognised by Sport Canada as a National Sporting Organisation. We were pleased to to launch our LTAD recently, a framework that will help guide our future growth and foster the next generation of footy players. The LTAD provides guidelines for development for players entering the sport. It helps administrators structure games and seasons to ensure appropriate development of new players. This document was re-written from scratch and over many months and versions, with consultation across our membership and with Sport For Life, we are pleased to issue Building Australian Football in Canada: Footy For Life. 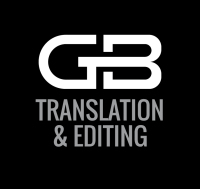 There were more than 25 contributors to this document, more than we can individually thank here, with a consultation period spanning many months. We look forward to working with our member clubs and leagues in 2019 on the implementation of this framework. In March the Edmonton Australian Football Club was invited by the University of Alberta to lead an Australian football component during the Kinesiology Games. This provided exposure of the sport to more than 490 University Kin students from across Canada. University of Dalhousie were very worthy winners, and the exposure has sparked interest across Canada in new university clubs. Over the July long weekend, six provinces were represented at the National Championships at Humber Oval in Toronto. 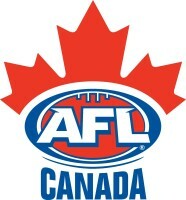 AFL Ontario president Aaron Falcioni and his team put on an excellent tournament in sweltering heat, providing a development platform for players wanting to move from club play to the national team. It was the ‘local’ teams that took the honours with the Ontario Men and Women taking out the Quebec Men and Women in the respective finals. We welcomed Atlas Wealth Management on board as a new sponsor in 2018, with more than 200 Sherrins proudly showing their logo as global experts in expat financial planning. Our Sherrin relationship continues, enabling AFL Canada members access to discount footys, providing savings of several thousand dollars in 2018 alone. While International Cup 2020 may seem a while away we’ve already started planning our return to Melbourne and are very pleased to re-appoint Cody Royle as Head Coach of the Men’s National Team, the Northwind. He will be joined by Brad Heidebrecht as Team Manager and Ewan Williams, Rowan Shields, Damin Bodnar and Justin Settle as assistant coaches. An initial squad of 60 players has been selected for the first of two training camps to be held in Edmonton, Alberta over May Long 2019. The Northern Lights say farewell to long-time coach Jason Arnold and welcome in former player, Candace Kwan as the new Head Coach. Candace has cut her teeth as a decorated multi-sport high-school coach through her career as a PE teacher and recently has been leading the High Park Demons Women’s team in the AFL Ontario league. She will be joined by two more former players in Lyndsay Smith as Team Manager and Sarah Ennor as Assistant Coach, alongside Callum Norris and Essendon VFLW coach Brendon Major who is returning to the Lights program as an assistant coach. The Lights will use a return to a club-based Women's Nationals as an opportunity to select their initial squad, being held in Calgary, Alberta over May long weekend 2019. At the participation level, we had another year of overall growth, driven primarily by the AFL Alberta juniors, AFL Quebec senior leagues and new junior program in Goose Bay, Labrador. AFL BC, AFL Saskatchewan, AFL Manitoba, AFL Ontario and AFL Nova Scotia were all relatively flat on 2017 participation figures. During 2018 we’ve been in touch with new and potential new clubs with the Forest City Phantoms (London, Ontario), Kingston AFC and Penticton AFC all looking to grow footy in their regions in 2019. We are currently re-evaluating how we can better support new and emerging clubs to ensure we are a catalyst for growth in new regions. We were pleased to approve a number of grants in 2018, including; a grant for AFL BC to host an Umpire Clinic, AFL Alberta Schools Program support, Edmonton AFC running Australian football at the Kin Games, junior footys for Goose Bay’s new junior program, and three new club grants to help the Vernon Roosters, Sydney Giants and Winnipeg Bears. Under the guidance of our communications managers, Lisa Dalla Rosa and Shane Hendrickson, our online footprint has grown by 31% in 2018. Thanks to both Lisa and Shane for the countless hours they put in managing our website and social media platforms that have helped grow exposure of the game over the past year. The AFL again has recognized our work over the past few years stabilising our governance and engaging with our members, and increased our funding again for 2019. As you can see, AFL Canada has continued to make significant progress in 2018, supporting its members, building relationships with leagues, governing bodies, and sponsors, supporting our national development programs and working to provide value to its members. But there’s plenty left to do. The board continues to engage with Sport Canada to develop policies and best practices in line with other NSOs and have been working with our larger leagues to start the discussions around each province receiving PSO recognition. In closing, I want to thank the 2018 board, staff and volunteers for their hard work and significant accomplishments. I’d encourage all clubs to continue to increase the communication and engagement among themselves and with their leagues and AFL Canada. 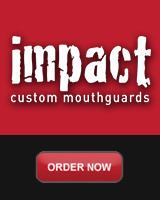 This will to help football to continue to grow here in Canada.